Today I've updated the links-page at the site for the first time in ages. Removed a few dead ones, updated a few moved urls etc.. Now I'd like to hear what ESSENTIAL Olde Metal webpages you think should be added. I'm mostly interested in sites with unique content, lots of helpful trivia, pages dealing with specific countries/states/cities etc. The "bands"-section should be a hell of a lot bigger too, it's just that I always get stumped whenever I think of what bands to add. Help me out here! Good Bad Music should be included. I found this cool blog http://hijo-del-dragon.blogspot.com . I don't think is good enough to be on the site, but I thought of reccomending it to the rest of the members. 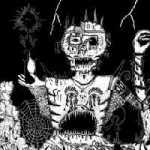 Found a very interesting page this weekend: LAST WITCH RECORDS (Links have been added to the site). Fans of Scandinavian and Japanese Metal take note. 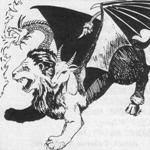 DaN wrote: Found a very interesting page this weekend: LAST WITCH RECORDS (Links have been added to the site). Fans of Scandinavian and Japanese Metal take note. I have pointed this site before two years or so in this forum.Yes many unknowns but too AOR,Hard Rock,Poser,Crossover and it's not my cup of tea. Cool site for encyclopedical reasons. 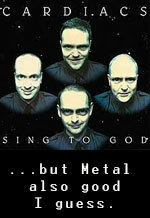 If there is a real Heavy Metal band among them don't forget to refer. Ruthlessmetal seems to be dead now. Khnud wrote: Ruthlessmetal seems to be dead now. Anyone know if there's still a version of the Thrash Metal List online after Ruuth's Inn went down? It's an old internet classic that deserves a proper home, if only for historical purposes. Jim probably has it on his PC. Ask him on the SRF board. Damn! Just realized that both Swedish Metal From The Past and the Gotham City pages are down as well. I should at least try to have the GC page hosted here. There's little info outside covers and tracklist but the list of bands is quite impressive and they offer dozens of albums on streaming. I looked around there for a while, including some of the external links. Looks like the best and most informative Malay-Metal page so far, so this one will definitely be added. Cheers! It's not ultra-comprehensive in all genres of metal (as it's mostly black-death related) ...but detail & information is excellent. I don't think it's updated regularly tho' ..which is a pity! Why are a wise man & a wise guy opposites? Any luck finding that batch of classic data? Another grrreat 'National' Olde Heavy Metal Encyclopedia-site recently came to my attention and has been added to the links page. This time a Polish one called DOROSŁE DZIECI and it's a must-read, trust me. Looks very interesting... I wish I actually could read it! That's an amazin page, cheers! Will definitely add it to the liks dept. Some of the mp3-clips sounded very interesting. I think I'll have to update the French part of my want list soon. Btw, you can use Google's translation service on the Dorosle Dzieci-page and get most of it.